Our purpose is to create technologies that combine power generation with efficient control systems. While fossil fuels remain a necessity to power our modern society, we cannot afford to misuse it. 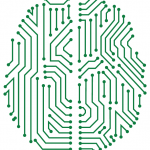 Therefore, our company is focused on developing technologies that not only increase human welfare but also makes economic sense for the companies using them. We want to develop more cost effective and resource-saving powertrain solutions for industrial applications. We strive for synergies of proven technologies, combining the simple and robust technologies with the power and dynamic of electric motors and software-driven control systems. Edward Eichstetter, Manuel Klein, and Leonardo Uriona met in the Green Team. A group is formed to develop the fastest electric race car. The race car becomes the fastest accelerating car in the world, and the first fully electric car to achieve it. The fastest 0-100 Km/h acceleration by an electric car. 2,681 sec was achieved by the GreenTeam Stuttgart, on 27 July 2012. The car was engineered as powertrain and Chief Engineer by EKU founders. Foundation of EKU Power Drives with the beginning of the EXIST-program. Move- into the office at the TTI, University of Stuttgart. The EKU Power converter for industrial applications is scalable up to 3000 kW. EXIST Award with entrepreneurial funding for 1 year. 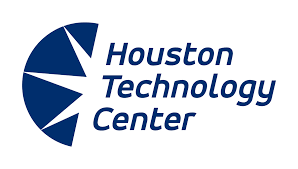 Houston Technology Center partners with EKU Power Drives Inc. Innovation prize Baden Württemberg with funding the high-tech battery prototype. 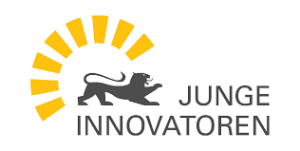 Junge Innovatoren Award with Entrepreneurial funding for 1 year. CyberOne Award for the best startups in Baden Württemberg. Open Office in Dallas Texas USA. Office extension in collaboration with the TTI, University Stuttgart. 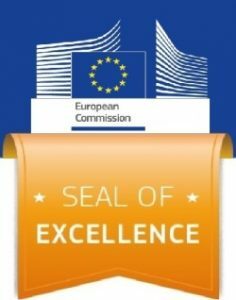 Seal of Excellence Awarded by the European Commission Phase II of Horizon 2020. Office expansion. The new laboratory and workshop, allow us to produce faster, bigger and simultaneously. We apply Lean Management and Kanban to shape our production process. We ready to deliver at no time at the quantities that our clients require. Growing faster than ever: EKU is expanding so fast that we are challenged every day with the new environment. We are almost double the staff in comparison to January 2017. Hello Houston- The Woodlands, we are finally here for you. Skyscrapers come into being by putting tiny elements together. As builders, we believe that simple ideas, when combined, create giant revolutions, and no idea is undervalued if there is an execution plan. With our project building process and the use of functional theories of development, we evolve, transform and exploit every new conceptual idea into a concrete project that supports the industry. For us, people are the center of any development. We invest in the best people possible, and together we create the best technology possible. We believe that our employees need time to create, time to be with their families, time for hobbies and time to produce. As real persons and no an entities, we encourage productivity by respecting and supporting personal life. We have come to this point, not only because we had good ideas, but also because we enjoy life. We thrive to make the life of the operators and system users simple. Automation is not about changing the channel of communication, it is about eliminating tasks that get no benefit from human intervention. We want people focus to on their missions rather than being busy with nonessential activities. We visualize technology as the moving walkway in airports that helps people reach their destination faster. We can do it better. !always! Constant changes challenge us frequently. And we are not afraid to start over if we realize there is a better way to do something. Our progress and future depend on our products, with excellent quality and capacity. For that reason, we put all our efforts to make them right and always better.